Paaliaq's music stems from an intense and lifelong love of the possibilities of sound; an adoration of the spacious, organic vibes of electronica, the fierce hues of rock, the soft airs and dark drama of orchestral instruments and the vibrant rhythms and scales of other cultures. Paaliaq aims to meld and express these passions into an evolving collection of music that hopefully brings something new and beautiful to the scene. With influences including Massive Attack, Brian Eno, The Cure, dEUS, The Cinematic Orchestra, Björk, Peter Gabriel, Thomas Newman, Ben Christophers, Toru Takemitsu, Michael Nyman and many more, Paaliaq's sound is often grand, often delicate; always beautiful, intelligent, evocative and passionately creative. Paaliaq is based in London, England. Paaliaq is the work of Ben van der Poorten. I began playing and writing music when I was 14. I think music is pretty awesome. "One of the most dazzling fruits of human civilization." as someone once said. 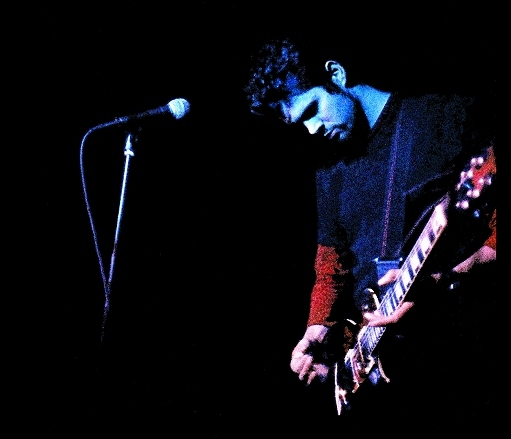 I was singer, guitarist and sometime drum programmer for Idioverse, a progressive-art-rock band, active in London from 1995 - 2009. Myself and best friend Jeeshan Patwari began Idioverse, sharing a love for both loud, alternative guitar bands and quiet, spacious, textured sounds. Over the years we were joined by a number of highly talented musicians, and created about six albums worth of music (www.idioverse.net) We played gigs in London, often with our own live animated visuals, and were highly regarded by fans and reviewers. I feel very fortunate to have played and worked with Jeeshan, whose creativity constantly amazed and inspired me; but ultimately the struggle of 'breaking through' (especially in London) became too stressful for everyone and we called it a day in 2009. During this time I had begun making music with computer, guitar and various other instruments I had gathered and continued to explore this electronic / orchestral side. I finally put together 12 of my tracks and chose the name Paaliaq. I released my first album 'Keepi' in Jan 2011. Thanks for checking out the site, please subscribe, and enjoy. Var det non som sa no?